When you make a booking on Loco2, you will be invited to enter a password at checkout to create a Loco2 account. This enables you to securely save your payment card for future bookings. If you already have an account but have not yet added a saved card, you can add a one next time you make a booking and use it for your next purchase. 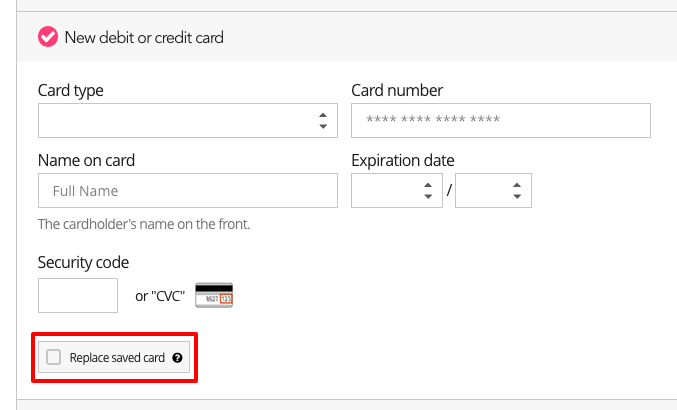 To create an account and save your payment card at the same time, follow these steps on checkout page. 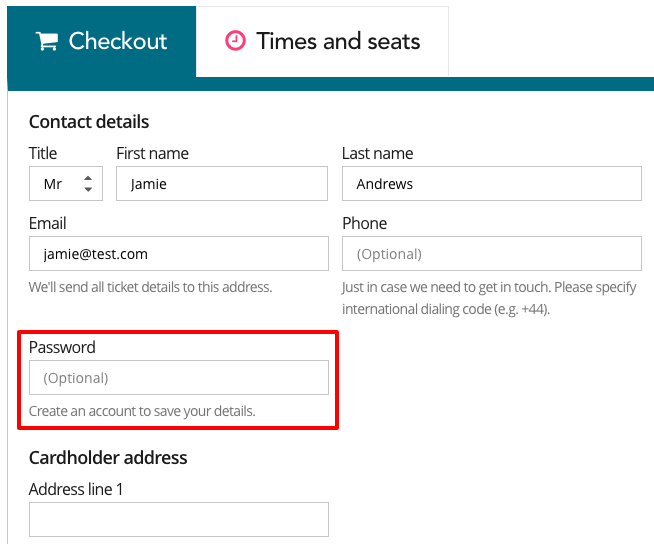 Add a password to create an account. When you enter your card details, click "Save this card" to save it to your account as you complete your purchase. After your first purchase, your saved card will appear next time you make a purchase. You'll be prompted to enter your 3-digit "CVC" number to verify the payment. You can also choose to pay with a new debit or credit card, or via Paypal. All card details are stored securely and encrypted by our payment provider. They are not stored on Loco2's servers and cannot be accessed by our team. 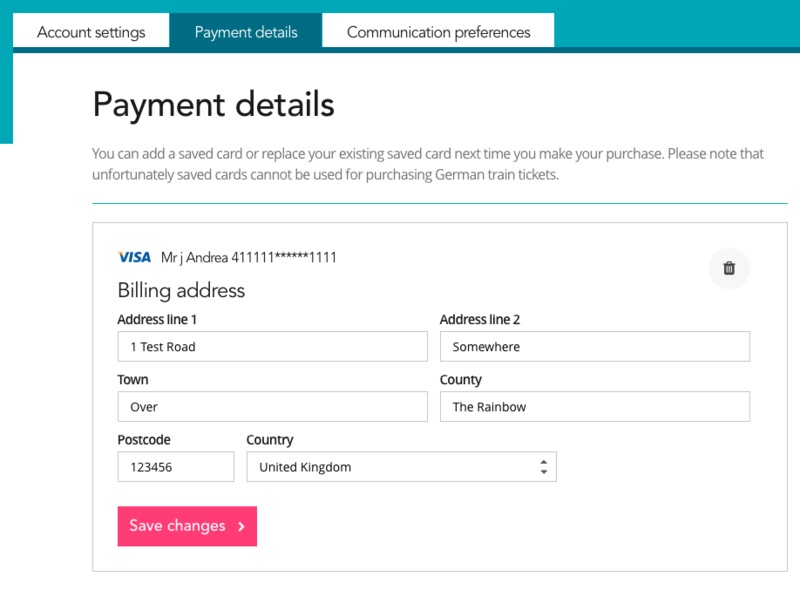 You can change the billing address associated with your saved card, or delete the saved card via your account. 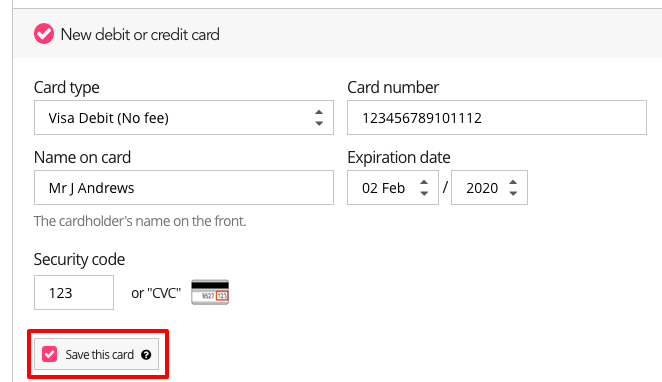 To replace your saved card with a different card, choose "New debit or credit card" on the checkout page and then select "Replace saved card".